Utilize Google's Street View technology to provide 360-degree virtual tours of the inside of a business. 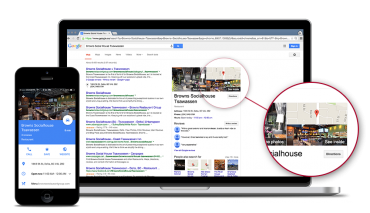 These virtual tours appear in 3 prime places on Google: Search, Maps and Google+. Google is the world's most used search engine, and the primary place that your customers turn when searching for local business. 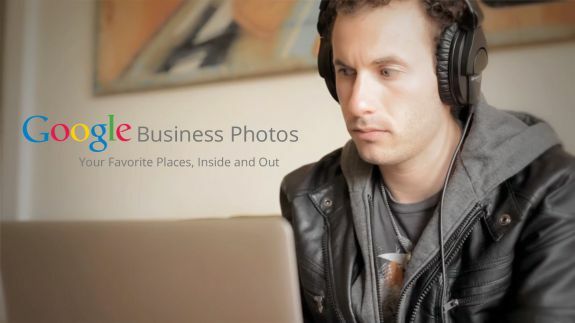 By participating in the Google Business Photos project, your business can have increased exposure in Google Search, Google Maps and Google+ local, with the addition of interior and exterior images with the call to action: “look inside/outside”. 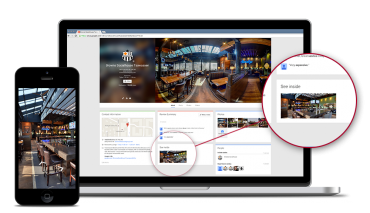 These links will bring your users into a virtual tour of your business, using Google Street View Technology. 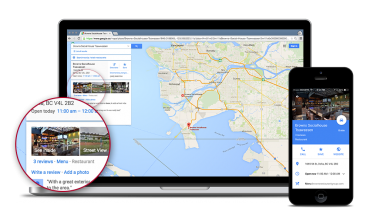 A Google Street View Tour represents an unprecedented marketing opportunity for your business. At just a fraction of the cost of a print or radio spot, your tour will be online indefinitely - and the cost per click? $0. Monthly fee? $0. Your Tour will be hosted on Google's servers at no charge - ever. Consumers are 38% more likely to visit a business with complete listings. Add your Streetview Tour to your listing to bring it up to that A+ score.